Your Checklist, Budget, Website, and more! WeddingWire&apos;s free planning tools help you stay one step ahead. Create your free WeddingWire account to start planning. The ultimate wedding checklist to make sure everything gets done. Seamlessly create and manage lists and RSVPs for all your events. Drag and drop from your list to assign each guest a seat. Let us run the numbers and keep your spending on track. Quickly find, manage, and message your favorite vendors. Easily create a custom wedding website to share with your guests. I have used WeddingWire for just about everything for our wedding. I made our website, have started working on the seating plan, used the to do list, found vendors, and a lot more! WeddingWire has become my new wedding-themed addiction. WeddingWire makes wedding planning easy. We know it can be overwhelming at first and it’s hard to know where to start, but we give you all the wedding planning tools you need. We’ll show you how to build a wedding website, and we’ll teach you how to use our digital Checklist and Guest List tool. It’s best to build your free Wedding Website at the beginning of the planning process. Our designs are customizable, so you can incorporate your wedding colors or include a picture of you and your fiancé(e). Adding personal features to your wedding website will make it stand out from the rest, and it also allows your personality to come through. While you’re working on your wedding website, you should also start thinking about the guest list. 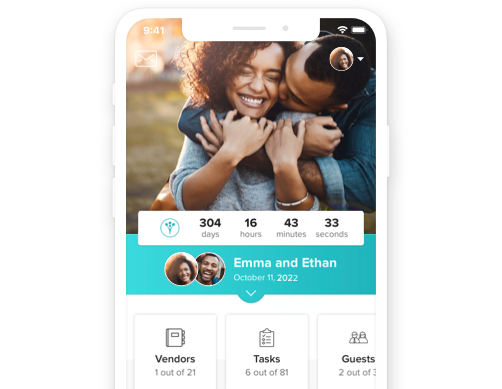 There are a lot of moving parts to the guest list, but WeddingWire makes it easy to keep track of RSVPs, meal choices, seating and more. The WeddingWire app makes it possible to plan on demand. Forgot to add someone to your guest list? Log in to our app and add them. Just completed a task on your wedding checklist? It’s easy to digitally check it off. Everything you need to plan a wedding is at your fingertips.